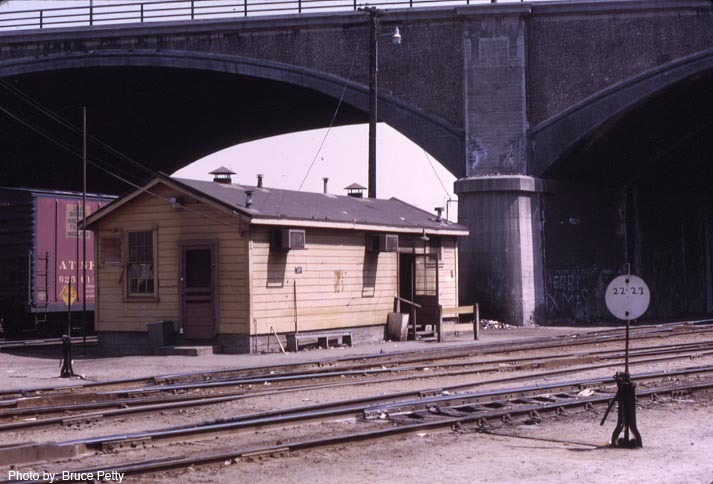 This is a small yard office that was located on the north side of the Broadway Street bridge at the south end of Southern Pacific’s old Midway yard. On the far side of the building are the Santa Fe’s interchange tracks with the Sourthen Pacific’s at Midway. 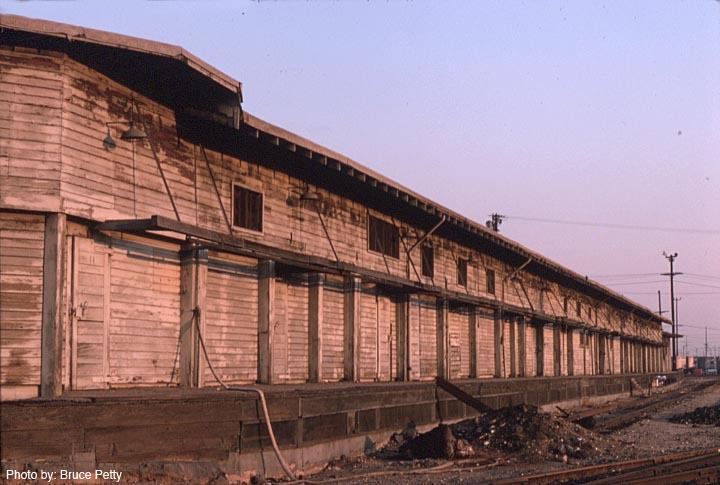 On the south side of the Broadway Street bridge was the River Station Yard. This Yard Shack is where the switchmen could get out of the weather. 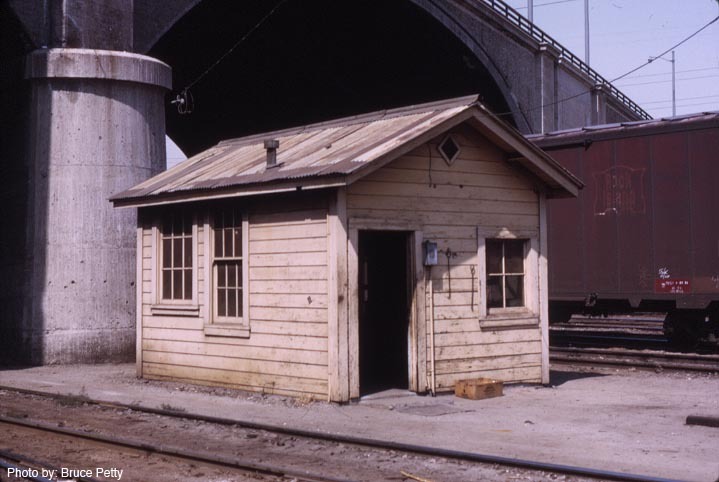 Located at the southern end of the River Station Yard was this small Yard Shack. The yard switch engines were parked near here. 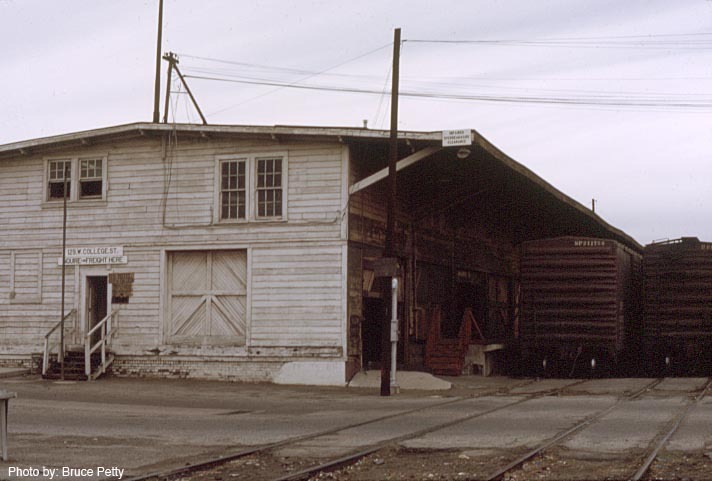 Here are several views of the old Outbound Freight House. 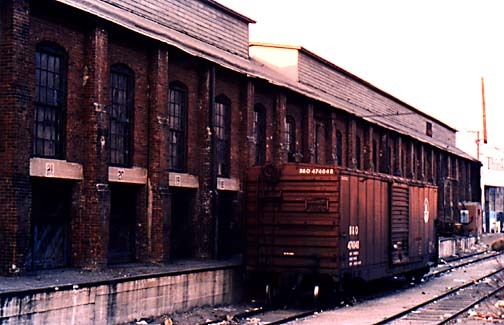 Because of the number of tracks along the Freight House, the box car doors were lined up for loading through the cars nearest the Freight House. In this view the track are now gone and the Freight House days are numbered. 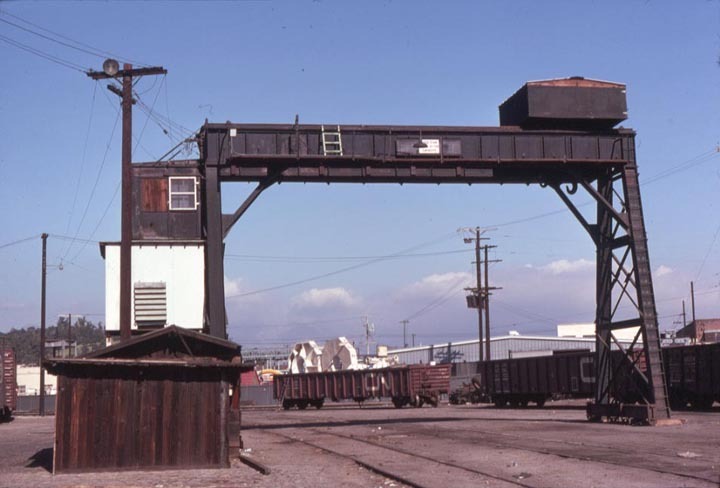 Located near the SP Freight Houses near River Station Yard was the Bridge Crane used to move heavy loads from Gondolas and flat cars onto truck trailers. 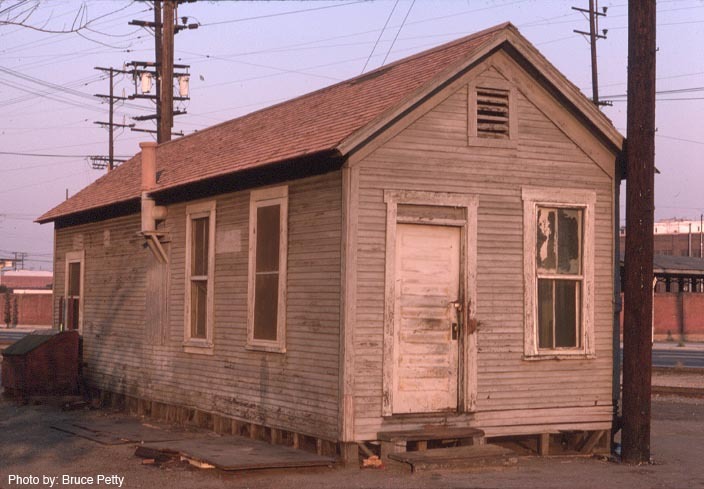 This was the old Pacific Electric Freight House, when this picture was taken it was switched by the Southern Pacific.